Depending how far back you want to go, garage doors have been keeping wheeled vehicles safe and secure for almost 2,500 years. 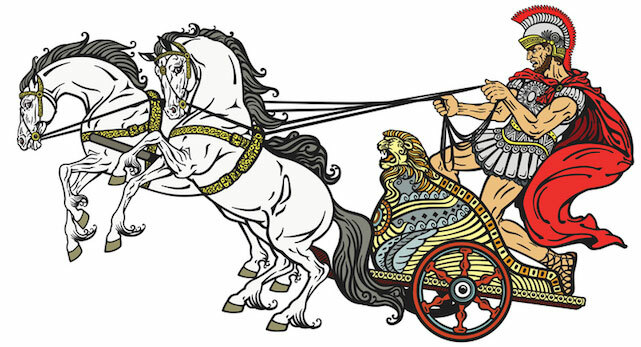 Romans had to store their chariots somewhere, right? You could go back a couple more millennium to when the wheel was first invented. Even the very first vehicles needed to be parked somewhere. Although they probably weren’t parked inside. Fast-forwarding a little bit, barn doors and carriage doors starting making appearances. These structures had doors that were attached by hinges and opened out, but were mostly just boards nailed into support boards to prevent sagging. One thing hasn’t changed much from a few hundred years ago for some of us – barns and carriage houses were primarily used as storage. 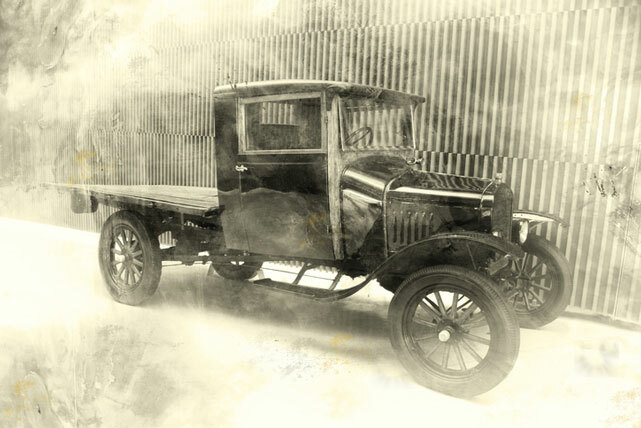 As the 1800’s began to wind down, more and more automobiles began to dot the landscape. Owned by the wealthy or mechanically inclined, these cars rarely had roofs, so keeping them covered was a major concern. Who wants a horseless carriage full of rainwater or covered in snow? At the start of the 20th century, more and more homes began to realize a need for garages thanks to Henry Ford and urban centers. And once the Federal Aid Road Act of 1916 came to pass, roads started to proliferate around the country. More people had cars, but less real estate to build barns to house them. Around this time, garages began to be built as part of the home. As the years rolled on, the garage become more than just a place to store your car. For many across the country, it become another living area during the summer or as added work space for woodworkers, computer programmers, and indie-music enthusiasts. And garage doors keep all of the stuff safe from the elements and unwanted looky-loos. Doors that swung out were the only option until 1920, when C.G. Johnson invented the original overhead door. No longer would overworked hinges, piled up snow, or uneven construction be a hinderance when opening and closing the garage door. 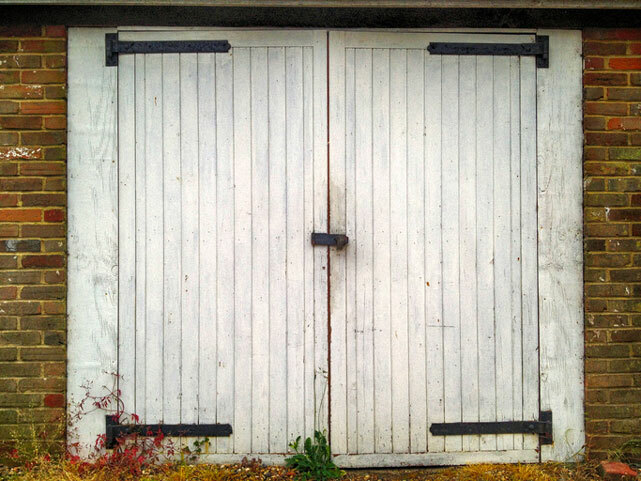 The overhead door was essentially one single panel operated by two hinges on either side of the garage. At first, you had to park the car several feet away from the door to give it room to be pulled up and out and then in. Although a little cumbersome, it was still much better than wrestling with large barn doors. This problem was solved by breaking up the single panel into multiple panels. Each panel attached to a track on either end, allowing the door to be lifted straight up. Garage doors were built from wood, so a two-door garage door could be quite heavy. Large, tightly wound springs were implemented to make the doors virtually weightless. Today, a garage door can be made from many different materials, insulated, and even made to look and open like carriage house doors from over a century ago. Today, a garage door can be made from many different materials, insulated, and even made to look and open like carriage house doors from over a century ago. Except now, you don’t need to worry if the horse is leaving you enough a room to get in. Thinking about upgrading your garage door? Contact Performance Building Products today.